11. No Downers. No Exceptions. Not Enough? CHINO, Calif. (AP) — A former California slaughterhouse worker caught on undercover video abusing sick and injured cows has pleaded no contest to animal cruelty charges. Daniel Ugarte Navarro entered the plea in San Bernardino County Superior Court to two felony counts of animal cruelty. He also pleaded no contest to two misdemeanor counts of cruelty to downed animals. He could get up to a year in jail when sentenced on Aug. 25. The video footage of Navarro prompted the largest beef recall in U.S. history. The other man charged in the case, Rafael Sanchez Herrera, 34, an illegal immigrant, accepted a plea agreement March 21 that sent him to jail for six months. He will be deported after serving his time. VICK’S DOGS: Terry Kendrick, who authorities say sometimes refereed fights involving former NFL star Michael Vick’s dogfighting operation has been sentenced to 13-1/2 years in prison. 8/28/07: Salvation For Vick’s Dogs? The plant, which at one point slaughtered about 40,000 to 60,000 horses annually, has been closed since last fall after the federal appeals court in Chicago upheld the ban… The plant could legally reopen to kill horses for production of pet food, but Calabrese and others say there is little demand in the pet food industry for horse meat. 3/29/07: One Horseplant Left…And Now There Are None? 2000: American Society for the Prevention of Cruelty to Animals, Fund for Animals, Animal Welfare Institute, and former Ringling “barn man” Tom Rider file a lawsuit against Ringling Bros. Circus under the Endangered Species Act for its cruelty to Asian elephants. 2007: Federal judge rules the animal cruelty case against Ringling may proceed. Documents uncovered during lawsuit reveal Feld Entertainment, the vast empire that owns Ringling, permits its employees to beat, chain and wound endangered Asian elephants with bullhooks. The circus is accused of forcibly removing pre-weaned baby elephants from mothers and beating them into submission. A bill intended to crack down on the harvest of sharks for their fins was approved by the House Natural Resources Committee… The measure would strengthen enforcement of an existing federal prohibition on removing the fins of a shark and discarding the carcass (first established in the Shark Finning Prohibition Act of 2000). But the law now allows some types of transport vessels to go to sea and purchase fins from other vessels. The bill would close this loophole, making it illegal for vessels to transfer fins at sea without the corresponding carcass. Showing Animals Respect and Kindness (SHARK) filed a lawsuit in federal court in Chicago against Professional Rodeo Cowboys Association — claiming it intentionally lied in an effort to remove SHARK’s videos from YouTube. According to the lawsuit, SHARK had posted more than a dozen videos of activities at rodeos…rodeo hands using electric prods on horses to encourage their bucking, a prohibited activity according to the lawsuit. * Phase in purchases of all chickens from suppliers that use controlled-atmosphere killing (CAK) — least cruel poultry slaughter. * Make a vegan faux-chicken item available at most KFC restaurants in Canada. * Improve its animal welfare criteria to reduce broken bones and other injuries. * Urge its suppliers to adopt…improved lighting, lower stocking density and ammonia levels, and a phase-out of growth-promoting drugs and breeding practices that painfully cripple chickens. * Form an animal welfare advisory panel to monitor changes and recommend further advancements. DISCLAIMER: Kinship Circle believes a vegan lifestyle is the ultimate way to end animal cruelty and other devastating impacts of animal agriculture. While suffering may be slightly reduced, humane upgrades cannot eliminate: Confinement, deprivation, drugging, manhandling, brutal slaughter, dismemberment, and consumption. overpopulation of pets in this country. LEFT: The HSUS, A downer cow left to suffer at auction. * A no-downer policy should apply to pigs and other livestock. The Interior Department announced that polar bears will be listed as a threatened species under the Endangered Species Act. What you may not have heard is that the decision will save these majestic creatures from the bullets of American trophy hunters. The listing closes an unacceptable loophole in the Marine Mammal Protection Act, a loophole exploited by wealthy sport hunters who killed and then imported more than 900 polar bears from Canada as trophies over the past decade. The long-term prospects for polar bears remain uncertain because of global warming, but thanks to this decision, these animals will face one less threat to their survival. 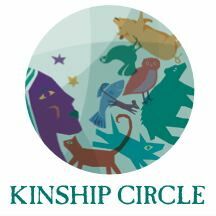 Kinship Circle Animal Disaster Aid Network was enlisted by Iowa Agriculture Dept/State Veterinary Response to send volunteers for animal flood victims. During disasters, we are on phone, fax, and Internet 24/7. The cost to keep our tiny staff on-call is immense. Any donations are greatly appreciated at this time. Kinship Circle is a 501c3 nonprofit organization. All contributions are tax-deductible. DISCLAIMER: Kinship Circle believes a vegan lifestyle is the ultimate way to end animal cruelty and other devastating impacts of animal agriculture. A claim of abuse and neglect of downed cattle in the Panhandle Region is a hot topic for the United States Humane Society. The Humane Society says they sent investigators across the country including here in Hereford as well as Clovis to affirm accusation of animal abuse. …Audits by the Agriculture Department’s Food Safety and Inspection Service resulted in “noncompliance” determinations for a National Beef Packing Co. plant in Dodge City, Kan., and a Cargill Meat Solutions plant in Fresno, Calif., according to information obtained by The Associated Press under a Freedom of Information Act request. ALBANY,GA. — Governor Sonny Perdue signed a bill into law that makes dog fighting a felony in Georgia punishable with a minimum $5,000 fine and one to five years in prison… Albany Animal Control says the Humane Society offers a reward that leads to the arrest or conviction of this illegal activity and hopes the community comes forward to help combat this underground activity. LEFT: Severino Cruz, Baby’s killer. RIGHT: Baby, a three-year-old pit bull killed with a power drill. KINSHIP CIRCLE received the “thank you” below from Dr. Patrick Coleman, the Lakeview, New Orleans resident whose dog Jax was needlessly slaughtered by police in his fenced backyard. From Patrick Coleman, wpcoleman [at] gmail.com — Thank you so much for the information posted regarding Jax, my 4 year old Doberman, who was shot and killed by a police officer responding to a false burglary alarm at my home on April 14, 2008. With so many people writing letters, blogging, posting… I only hope that his death brings about change as his life did for myself and everyone who met him. Canada’s Department of Fisheries and Oceans has officially closed the last and largest phase of the seal hunt off Newfoundland and Labrador. Officials say participation for this year’s hunt was low, mainly because of the high price of fuel and the low price of pelts, which were selling for about half of what they were a year ago. Hunting conditions were far from ideal, with heavy sea ice and snow hampering the sealers. At least three boats were abandoned over the past week because of ice, and nearly a dozen others required assistance from the Canadian Coast Guard. Federal officials say only about 80% of this year’s quota of 275,000 seals were taken. Getting out the vote: Let Californians know about this initiative. DISCLAIMER: Kinship Circle believes a vegan lifestyle is the ultimate way to end animal cruelty and other devastating impacts of animal agriculture. While suffering may be slightly reduced via more cage space, enforced anti-cruelty laws, “humane slaughter,” etc. — these upgrades cannot eliminate: Confinement, deprivation, drugging, manhandling, brutal slaughter, dismemberment, and consumption. The idea of getting the next Chicken McNugget out of a test tube is not new. For several years, scientists have worked to develop technologies to grow tissue cultures that could be consumed like meat without the expense of land or feed and the disease potential of real meat… The tissue, once grown, could be shaped and given texture with additives and structural agents now used to give products like soy burgers a more meaty texture. LEFT: A horse is slammed face first into the ground. RIGHT: Abusing baby animals: another example of “entertainment” at the Cheyenne Frontier Days. Matchbox Twenty will not perform at the Cheyenne Frontier Days Rodeo after viewing SHARK’s video footage of last year’s CFD Rodeo and other rodeos. Regrettably, Matchbox Twenty will not be able to perform at Cheyenne Frontier Days on July 18. After careful consideration it was decided that the participating in this event would directly contradict the mission statement of SIDEWALK ANGELS FOUNDATION, our non profit organization. The other members of matchbox twenty support this decision and while we understand a great deal of effort went into planning this show, and apologize to all fans who purchased tickets, we ask that they please understand it would be impossible for us to put ourselves in the position of making money from what we believe to be the mistreatment of animals. SHAC – THE HOLLYWOOD MOVIE? Lionsgate has acquired worldwide rights to “Stop Huntingdon Animal Cruelty,” a spec script by first-time screenwriter Adam Sachs. The script — described as a quirky, elevated comedy in the vein of “Thank You for Smoking” — centers on an unlikely friendship between a lonely reporter and an outspoken teen who bond during an animal-rights protest. NASHVILLE, Tenn. — Last summer five boys, ranging in age from 9-years-old to 14-years-old, were charged with animal cruelty after investigators said they doused a dog with gasoline and then lit it on fire. The dog was later found dead in an alley. The dog, nicknamed Jane Dog died, was later the poster pet for animal cruelty cases, generating attention worldwide. In court, the boys learned they will not face any jail time, but they will be required to go through counseling and evaluations as well as regular check ups with a probation officer… Police originally charged all five boys with aggravated animal cruelty, which is a felony. Before the trial the boys had been on house arrest since last June. This entry was posted on Wednesday, July 9th, 2008 at 10:51 am. You can follow any responses to this entry through the RSS 2.0 feed. You can leave a response, or trackback from your own site.